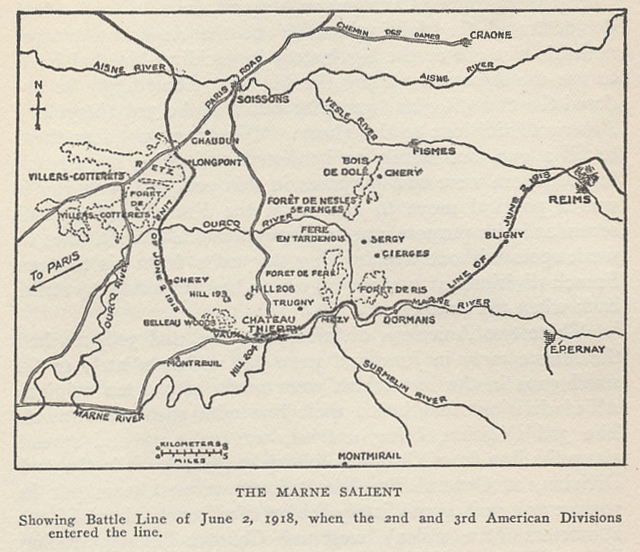 Map of the Marne salient showing the battle line of June 2, 1918. From The History of The A.E.F. by Shipley Thomas. 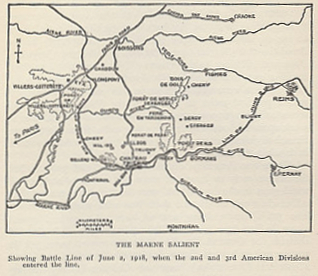 Showing Battle Line of June 2, 1918, when the 2nd and 3rd American Divisions entered the line.